The modest but indispensable Duo behind Status Quo. If you talk about Status Quo you first think on Francis, Rick, Alan and John. 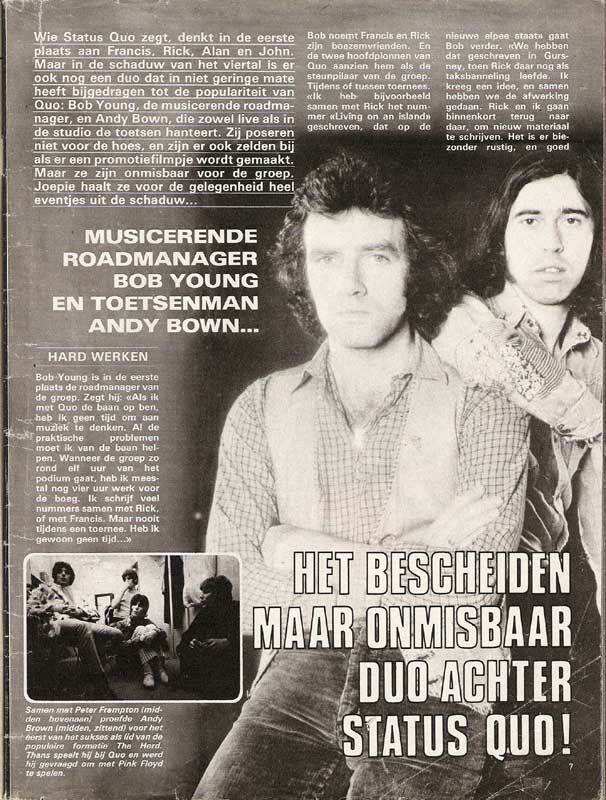 But in the shadow of this quartett there is also a duo which contributed a big part to the success of the band; Bob Young, the musical tour manager and Andy Bown, who plays the keyboards at the live shows and in the studio. They don’t pose for the cover photos and they are rarely seen on promotional videos. But they are indispensable for the band. At a concert “JOEPJE” took the opportunity to get both out of the “shadow”.